Chammy Lau is an experienced educator and trainer for both youth and tourism practitioners for Hong Kong. She graduated from the Hong Kong Polytechnic University, with Bachelor of Arts Honors degree in Tourism Management and Master of Science in Information Systems. Prior to teaching, she worked in the hospitality and tourism industries for a number of years. Her concrete experiences in the travel agency and hotel sector provided her with strong industrial support in addition to her academic credentials. 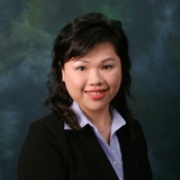 Ms Lau is a Certified Hospitality Educator conferred by the American Hotel and Lodging Educational Institute. As accredited by the Travel Industry Council of Hong Kong, she is also a licensed trainer for the inbound tourist guide training course. Currently a Lecturer in the Hong Kong Community College of Hong Kong Polytechnic University, she has played an active role to incorporate the Work-Integrated-Education with the school curriculum. Apart from the training profession, Ms Lau had been involved in various consultancy projects for government and tourism-related organizations; for instance ,the Guangzhou Ning Nan group (Garden Hotel in Guangzhou), Education Bureau of Hong Kong and Hong Kong Examinations & Assessment Authority.